Michael Faas/charlesandsamwyly.comCharles Wyly died Sunday in an auto accident on Highway 82 near Aspen. ASPEN – Dallas billionaire Charles Wyly, whose family owns two ranches in Woody Creek and funded the Wyly Community Arts Center, among other local philanthropic efforts, died Sunday in a car crash on State Highway 82 near Aspen, the Colorado State Patrol said. Wyly, 77, was killed when the Porsche Targa he was driving was struck by a Ford Freestyle sport utility vehicle, driven by Genezi Lacereda, 40, of Snowmass Village, according to a news release from the State Patrol. The other vehicle struck Wyly’s Porsche on the driver’s side, the patrol said. Wyly was trying to turn left onto Highway 82 from Airport Road when his vehicle was struck, the patrol said. Lacereda suffered moderate injuries, according to published reports. The accident occurred around 11 a.m., resulting in the temporary detour of eastbound traffic through the airport. Wyly was transported to Aspen Valley Hospital and pronounced dead shortly after noon. The State Patrol said both drivers were wearing their seat belts, and neither alcohol nor drugs is a suspected factor in the crash, which remains under investigation. Charges have not been filed. Charles Wyly was the brother of Sam Wyly, who both face insider trading charges. The two have denied any wrongdoing. They also gave more than $1 million to the Republican National Committee between 2000 and 2004, according to the Dallas Morning News. 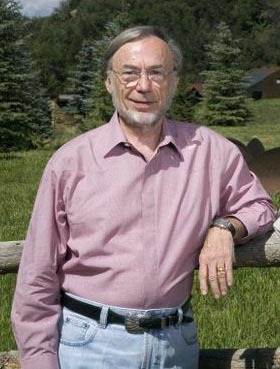 Locally, Charles and his wife, Dee, funded the construction of the Wyly Community Arts Center in Woody Creek in 1996, before it moved to Basalt in 2005. Sam Wyly owns Explore Booksellers in Aspen. Charles Wyly had four children and seven grandchildren.